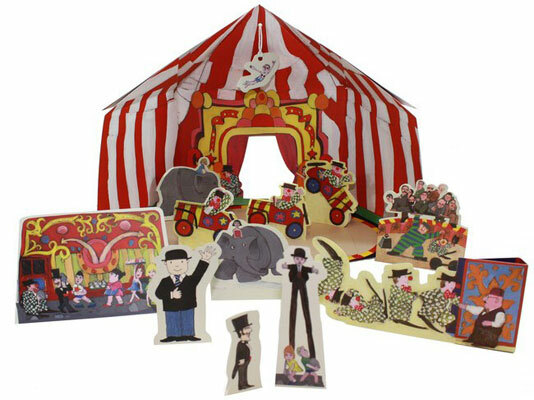 I know the TV show probably appeals to parents more than children of the current era, but this Mr Benn Make Your Own Big Top at the Tate Shop is still worth checking out. Saying that, you might (like us) have been showing your children the TV shows of your generation, either via streaming services or DVD – and they might well be aware of the wonderful Mr Benn show. If they are, they’ll recognise the original David McKee illustrations, which have been recreated for this set, which is exclusive to the Tate. 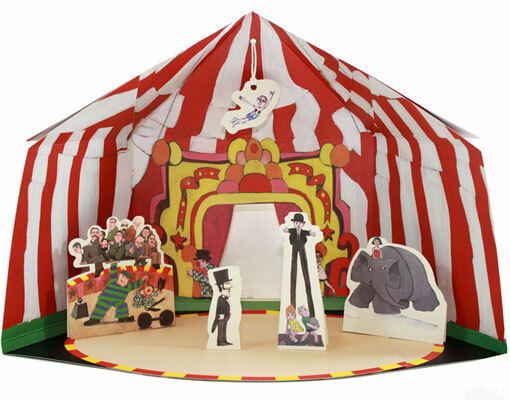 They sit in a cardboard circus tent, which folds out to roughly 29 cm high x 40 cm wide, with 12 of those colourful figures (including a trapeze artist with string) to play with. If you want one, the price is £11.99 online.